A smile can be one of the biggest things people notice first when meeting or interacting with someone. Those with Hollywood-esque smiles go to great lengths to maintain their pearly white smile. While there are many ways you can go about improving your smile, we can help create the smile you’re looking for with our dental cosmetic services. The right smile can help set first impressions, make someone seem more approachable, and improve anyone’s self-confidence. If you feel that your smile is holding you back and you are living within the Aston, Media, and Swarthmore areas of PA, then reach out to our cosmetic dentistry today for more information on our services. Dental whitening is one of the most commonly requested cosmetic services we see. Everyone is constantly trying to attain a bright, white smile. With so many whitening products and services on the market, it can be difficult to choose one. Instead of paying an arm and a leg to try a teeth whitening package you found online, perhaps an annual teeth cleaning and a little more emphasis on brushing twice a day are all you really need. If that doesn’t work, we offer in-office teeth whitening treatment. Our experienced cosmetic dental team is able to help improve the shape, color, and health of anyone’s smile. Whether it’s the result of physical injury, tooth decay or gum disease, it is not uncommon for people to be missing a tooth or two; even at a young age. Unfortunately, contact sports and other physical activities sometimes end with an accidental elbow to the mouth. Along with gracing you with the appearance of a hockey player, missing teeth can make it difficult to eat and enjoy your favorite foods. We offer full or partial dentures that can help you get back on track. Today’s dentures, whether they be permanent or temporary, mimic the look of natural teeth and help you regain confidence in your smile. Designed with an incredible amount of durability, these can end up lasting a lifetime. Similar to full or partial dentures, we also offer dental implants to help reshape your smile. An implant is a small frame that is surgically placed under the gum to provide support for a dental crown or bridge. Custom-designed to fit your mouth, these will look and feel like your natural teeth. Another option we offer is dental veneers. These are a thin porcelain shell that is placed directly over the tooth to restore the appearance, size, and health of the tooth. Since gingivitis eats away at enamel, a veneer will show off the best version of your natural teeth. 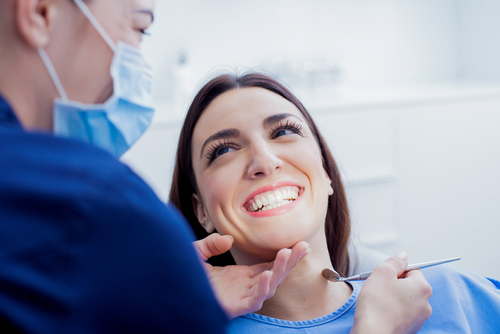 As the top cosmetic dentistry in the Aston, Media and Swarthmore area, we look forward to helping you create a beautiful smile that you’ll be proud of. Whether you require emergency dental care, or you want to schedule a consultation for one of our dental cosmetic services, we encourage you to give us a call today at 484-444-2793.